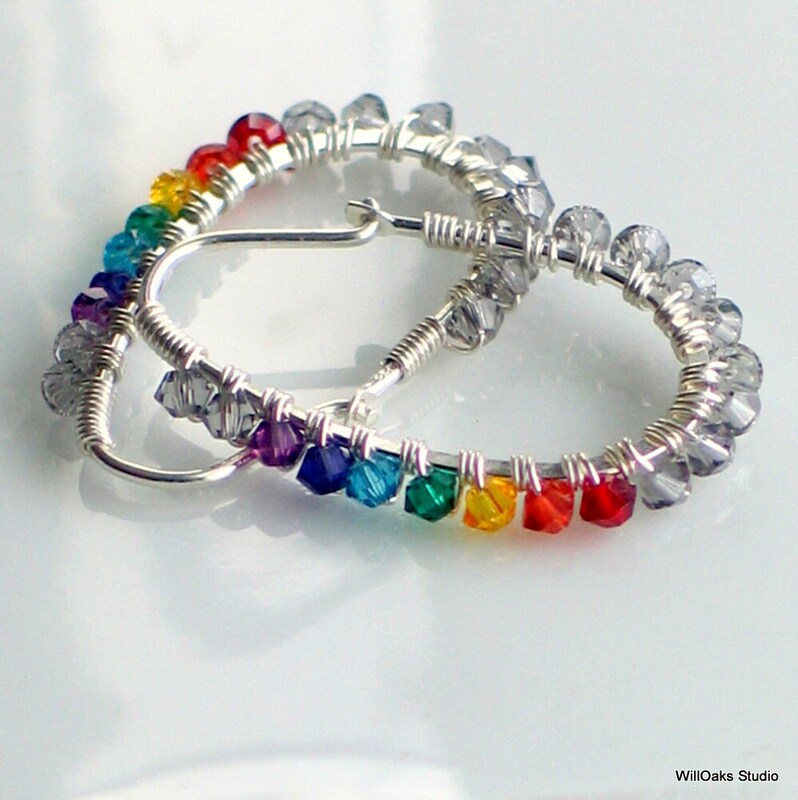 A rainbow on oval hoop earrings with small Swarovski crystals in the 7 colors of the Chakras are bound with sterling wire to oval sterling silver hoops. 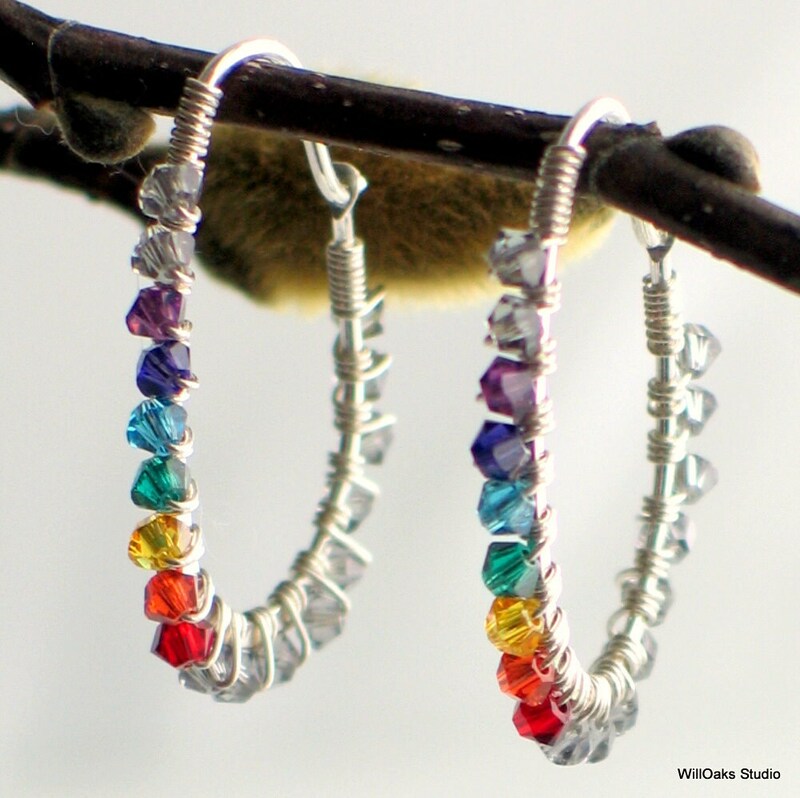 Rainbows and prisms include the same clear bright colors on these self closing sturdy hoops that add a touch of joyful elegance to your ear lobes, a nice balance between getting noticed, but not too loud. 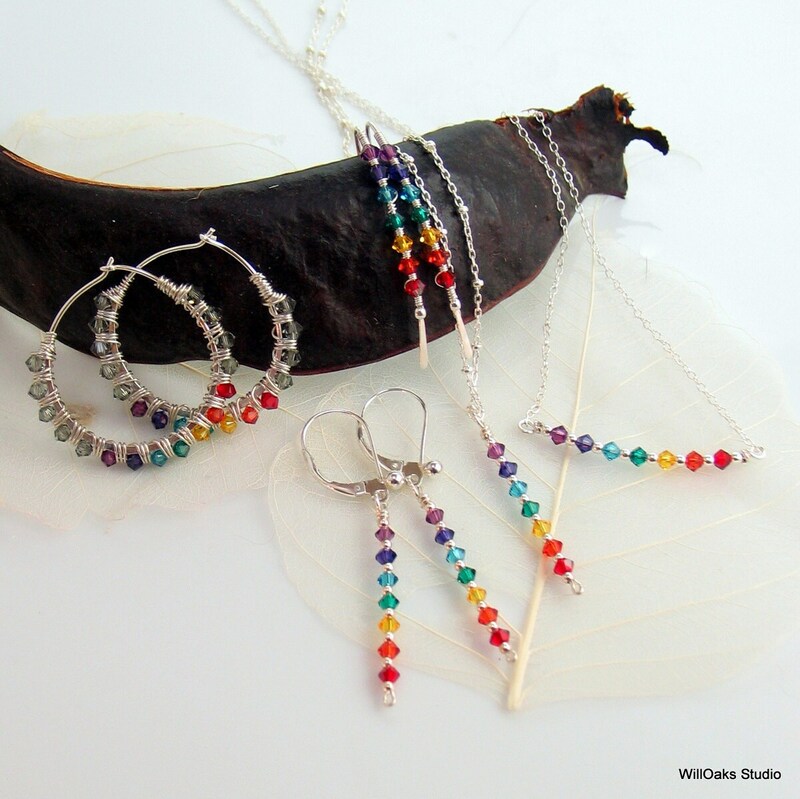 However you use them, they could be a lovely gift that can be worn year round, for work or play, for your yogini, your rainbow lover, your nature lover, the color lover in your life and for a very special mother. 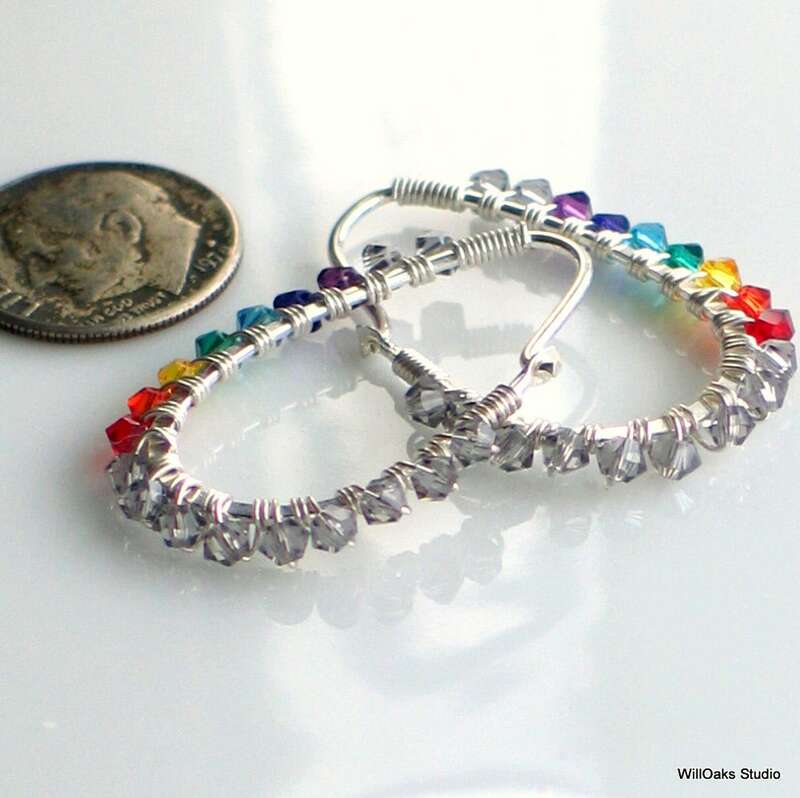 The oval hoops measure 1 1/4" long from the top of the earwire and about 7/8" wide at their widest. They slip through the piercing and then latch into a small drilled hole in the back of the earring. The small, 3mm crystals are made by Swarovski, a leading producer of fine cut crystals. 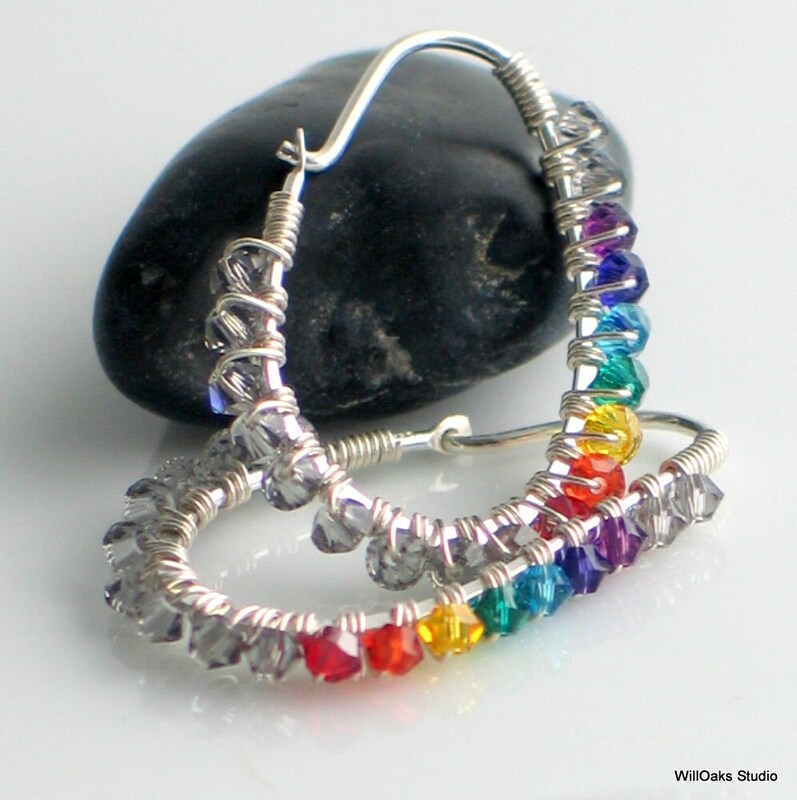 Besides the 7 crystals of the 7 colors, additional crystals in a gray diamond finish complete the wrapping of the hoops.